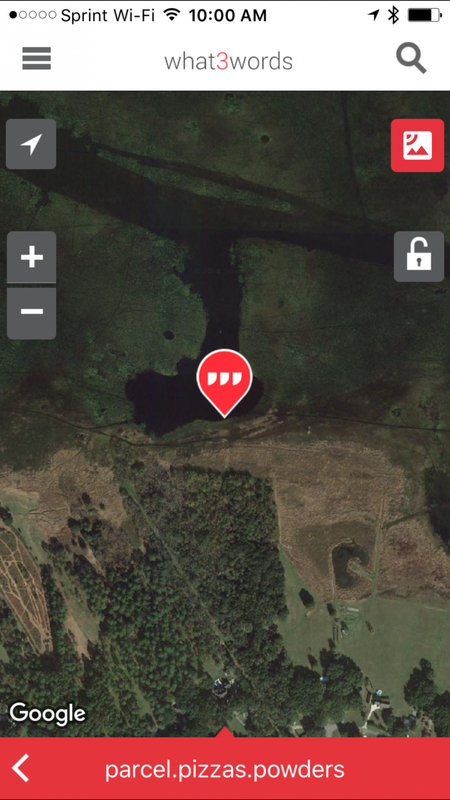 what3words just raised $8.5 million in Series B funding. Their solution challenges the classic address system by allowing people to pinpoint any 3m x 3m location in the world using assigned sets of 3 word combinations. 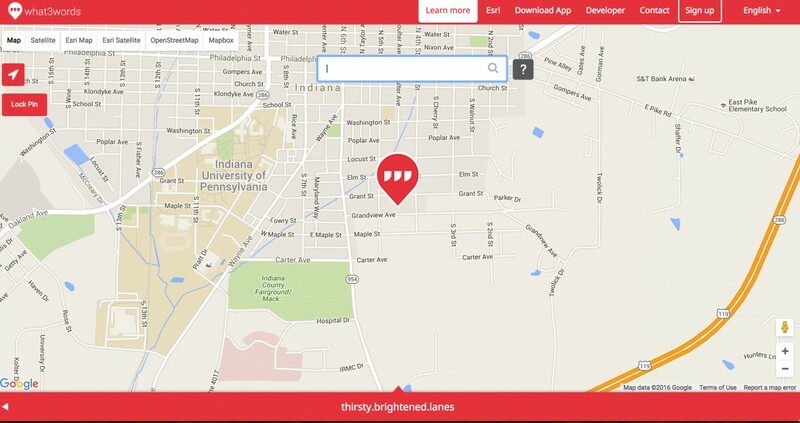 what3words just raised $8.5 million in Series B funding. They did that by coming up with a way to entirely remodel and redefine a naming convention about which most of us rarely think twice, let alone three times; the address system. No more numbers and names and words and digits; just words, grouped in 3s. I’ve never given much thought to addresses and since the advent of Google Maps and Apple Maps, I am literally never lost (except for that period Apple maps would consistently deposit you in an abandoned quarry instead of the grocery store). However, there are many places in the world – according to the company, 75% of the world suffers from poor or no addressing – especially in developing nations, that simply don’t have an address system or zipcodes. There also times when you need to specify a location that doesn’t correspond to a classic brick and mortar destination. To solve a global problem, what3words proposes a solution that seems simple: divide the entire world into a series of 3m x 3m squares and then give each squares its own unique 3-word combination. For example, my old home at 459 Grandview Avenue, Indiana, PA 15701, translates to “thirsty.brightened.lanes” (which sounds like a bad Killers song). I could give that word combo to a friend, who could then put it into the app or the website, get the precise location, and get directions to that location. What about a location that doesn’t have a physical address within our current address system? In these situations, a satellite view is applied. For example, there’s a lake nearby called Lake Jackson. If I want to meet someone on the shore of Lake Jackson, I can type “Lake Jackson, Leon County, FL” to pull up a satellite picture of the lake. I can then zoom in and pick a very specific spot on the lake. That spot is given the word combination of “parcel.pizza.powders”. I can then share this 3 word combo with a friend, who can put it into the map or app and get directions to the location. Apple Maps informs me that the directions will end on the road closest to this location. Once the map directions end, I can use the compass function in the app to find the exact location. Like, I can literally follow the compass through the fields and woods until I arrive at the precise 3m x 3m square. By using 3 words in a combination, what3words can cover 64,000,000,000,000 3m x 3m squares, which is more than enough to cover the entire world, plus some. Two word combinations wouldn’t produce enough squares and 4 word combos would produce 40,000 times too many squares, which would be pointless (unless we should be reading far more into this recent Jupiter landing). The company has made a concerted effort to remove homophones and words that would be a common source of confusion (e.g. sale, sail), have designed intelligence in an AutoSuggest system to pick up errors in “spelling, typing, speaking, mishearing and misremembering”, and have also shuffled their “similar sounding 3 word locations” as far apart from each other as they could (e.g., table.chair.lamp & table.chair.lamps are on different continents). They have even been deliberate to assign their longer words of 17-18 characters to more remote areas, giving geographic population-based priority to shorter, easier words. what3words is currently available in most UN languages, as well as several others, such as Swahili and Vietnamese. The company has managed to condense the entire app word library to only 10mb, allowing it to be easily stored for offline use, solving the connectivity problem that plagues so many underdeveloped nations. 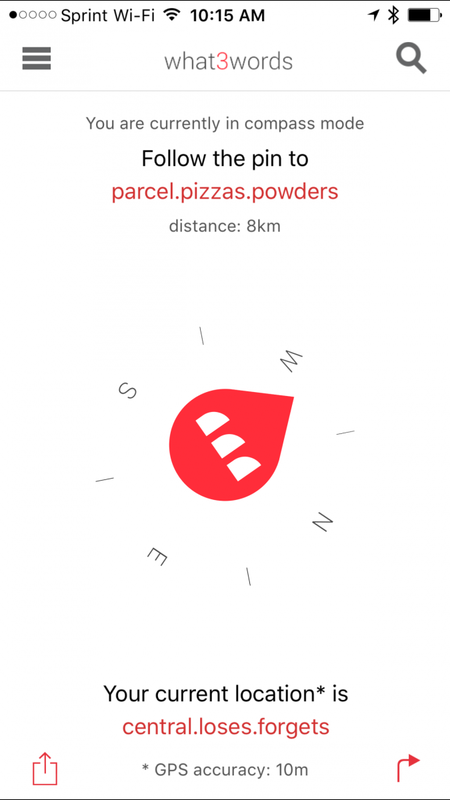 Most functions on what3words are free. The company has partnered with numerous businesses, monetizing their platform by charging for high volume use of their API. For example, what3words partnered with H2ONow to help them identify, manage and communicate thousands of water pump locations across Africa; the precise 3 word location of water pumps was pulled into the H2ONow management platform via the API. Apart from their recent funding, they have been earning a steady stream of awards for “transformational technology” and innovation, including accolades from The Financial Times & International Finance Corporation, PricewaterhouseCoopers and Unilever. 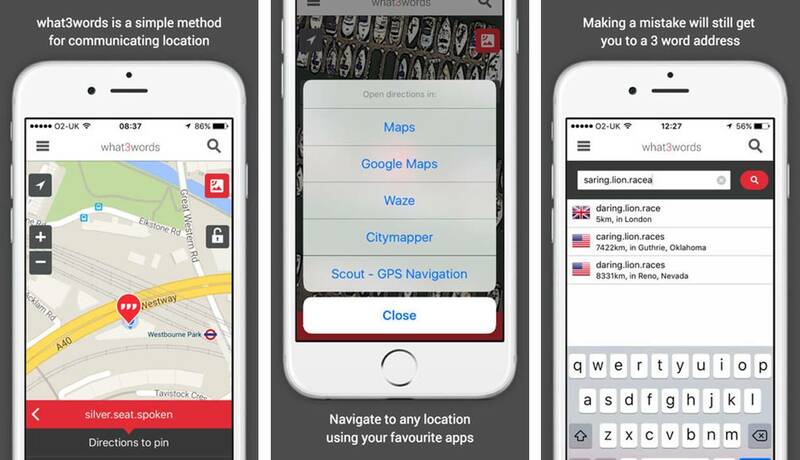 The what3words app is available for download on iOS and Android, as well as directly through your browser. Now then, anyone up for a beer? Let’s meet at “tower.visual.beaker”. This is really neat. I love the browser edition. It gives you a chance to try it out before having to download an app to your phone first. Bravo to the innovators! Tower Visual Beaker is a little far of a drive for me, however, it would be sort of a cool way to look at maps and things with this system. Not only is this a great way to get the names and places just right, but it seems quite easy to follow. The three keywords are a bonus for searching as well. Hmm, I didn’t think there was any reason to expand on Google Maps, but this looks promising! Really cool thing to find. Thanks for writing about it.